Speed reading is one of those abilities that feels like a superpower. But the truth is, it’s a skill anyone can develop with the right instruction! Understand the art of speed reading, and learn to read and comprehend up to 3,700 times faster with this Essential Speed Reading Bundle, only $19 in the Boing Boing Store. You’ll start your instruction with a three-year subscription to Spreeder CX, an e-reading program that ramps up your RSVP (rapid serial visual presentation) skills. It’s a text method that cuts down on eye movement and boosts how much information you receive as your reading speed increases. But just reading faster doesn’t matter if you can’t retain it...so you’ll also get a three-year subscription to its companion program 7 Speed Reading EX. Here, you focus on training videos, exercises and other methods to improve your reading speed while achieving 100% information retention. 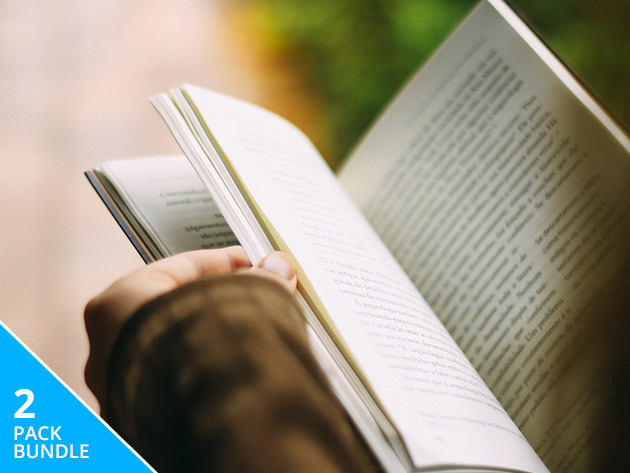 A $150 value, boost your information intake with the Essential Speed Reading Bundle for 87% off MSRP, while this offer lasts.